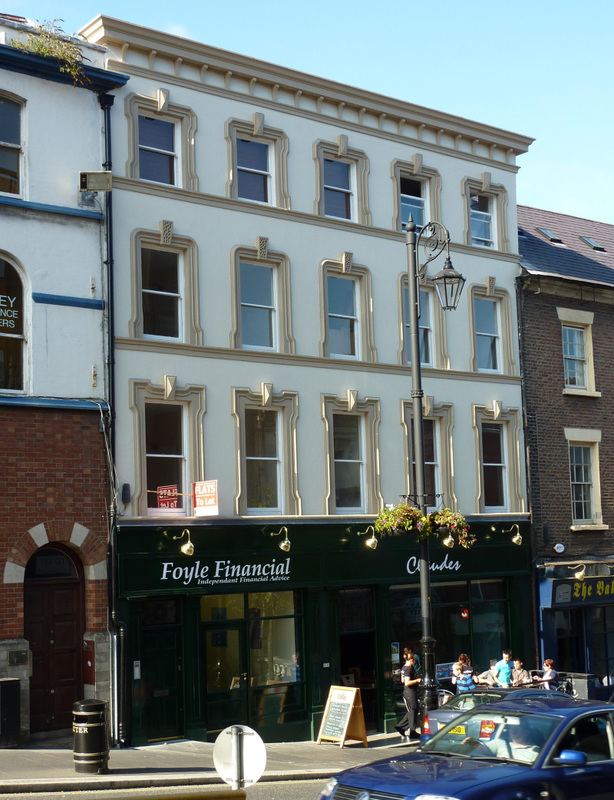 A prominent four storey five bay property located near the top of Shipquay Street. 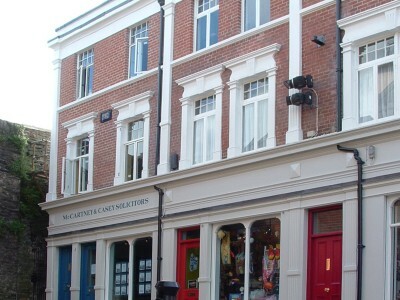 The property comprises a smooth painted render front façade, with the upper floors defined by a moulded string course. The windows are one over one sliding sash and have moulded render architraves some of which are lugged. 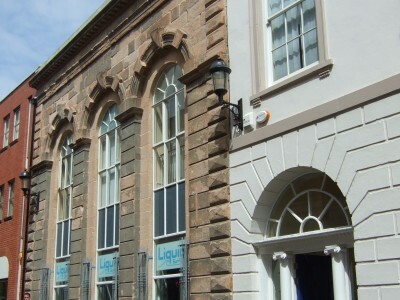 Prior to intervention the façade was topped with a simple non original parapet coping detail and inappropriate shopfronts and signage had been installed at street level. Historic photographs of the property indicated an elaborate cornice arrangement which added greatly to the overall composition of the facade. 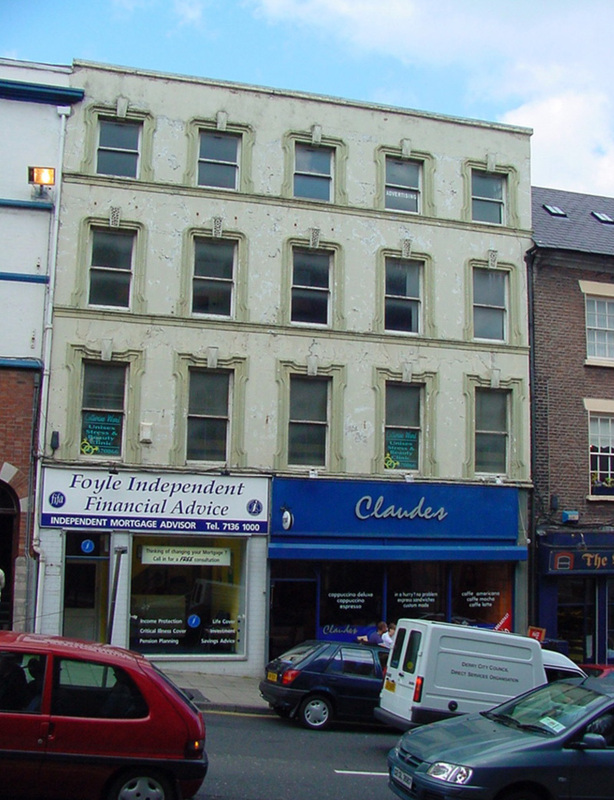 The property is located Shipquay Street laid out at the formation of the Walled City in the early 17th century. 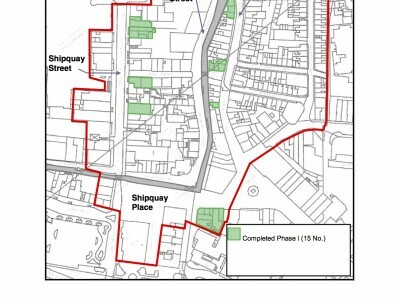 Shipquay Street was named in 1780 having formerly been known as Silver Street as early as 1622. 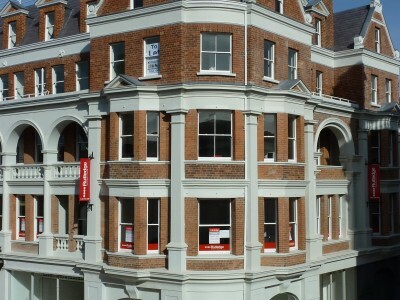 Repairs to render and detail mouldings. Removal of inappropriate shopfront and external shutters. Provision of new shopfront including internal lattice shutters. Reinstatement of a more elaborate parapet detail. Renewal of lead lined parapet gutter. Write Your answer: 3+9= Math Captcha.